Spring has officially arrived and one of my all-time favorite home stores is having a huge sale! The first time I walked in to one of Serena and Lily’s stores I said to MR, “this is how I want our home to FEEL!”. If you’ve ever visited one, you probably understand my feeling of overwhelming design inspo // a desire to immediately redecorate my entire home. I love the clean, neutral, subtle beach vibes of their pieces. Ever since my first visit, I’ve kept a running wishlist and I always try to snag a few of my favorites whenever they have a major sale. 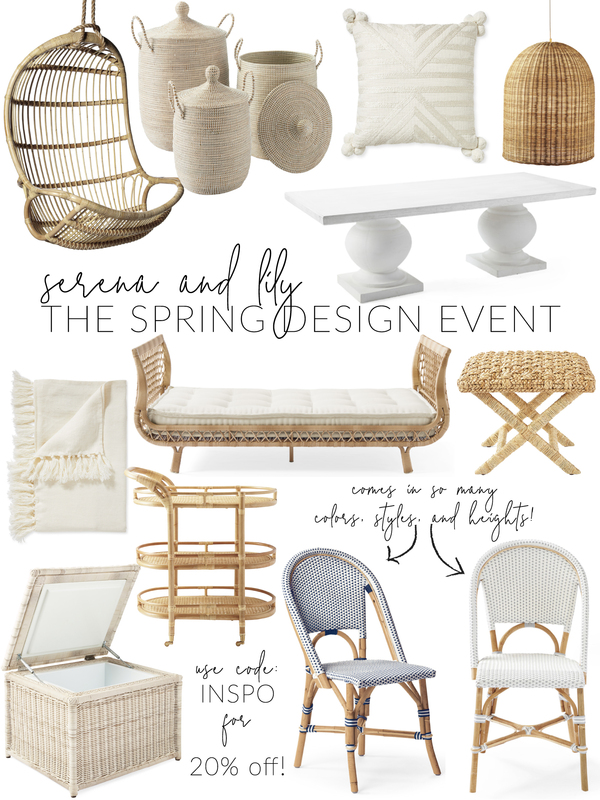 For their Spring Design Event, the entire store is 20% off with code: INSPO! 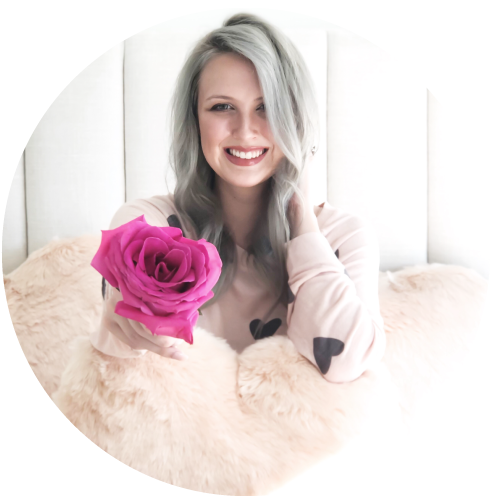 Keep scrolling to shop some of my favorite items! MR and I are currently working on finishing our outdoor screened patio, so this sale couldn’t come at a better time! They have so many amazing outdoor items from lounge furniture to dining pieces. One thing I love about Serena and Lily is that every piece is thoughtfully designed and stylish, like this adorable outdoor cooler! I’ve also been lusting after these bistro chairs (which come in bar/counter stool heights as well) since last summer, and I think it might be time to invest in a set. Are you guys Serena and Lily fans? If not, hopefully you will be after this post! Let me know if you find something you love or that inspires you!